The Flamingo Suite is already one of the best party apartments in Liverpool. The latest of our Signature Suites is one of our favourite spaces to date and we can’t wait for you to see it! 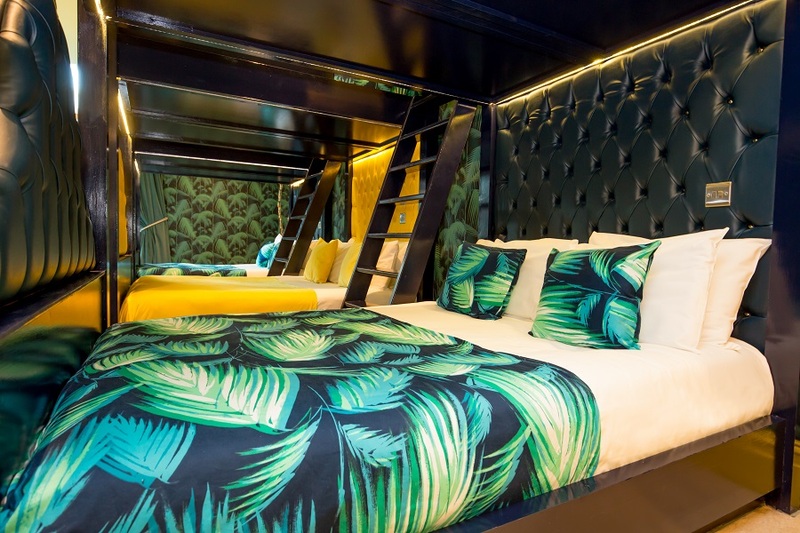 Bringing a tropical paradise to Liverpool, the vivid and vibrant Flamingo Suite is calling your name. So, why not escape the winter blues and treat yourself to an overnight stay for a night that you’ll never forget? Our tropical Flamingo theme is achieved with a clever contrast of prints. The striking decor blends contemporary, stylish interior with 80s nostalgia. A dynamic fusion of tropical prints and Miami Art Deco, discover boldly bright palm trees and pretty pink flamingos everywhere you turn. The unique features of this room truly set it apart from the rest. And trust us, there’s plenty to do and see upon arrival! Once you’re settled in, you can toast to the night ahead with a glass of bubbly as you sink into a relaxing 10 seater bath. With fantastic swings overlooking the window, sit back, relax and let the night unfold with an atmospheric view of Liverpool’s bustling streets. 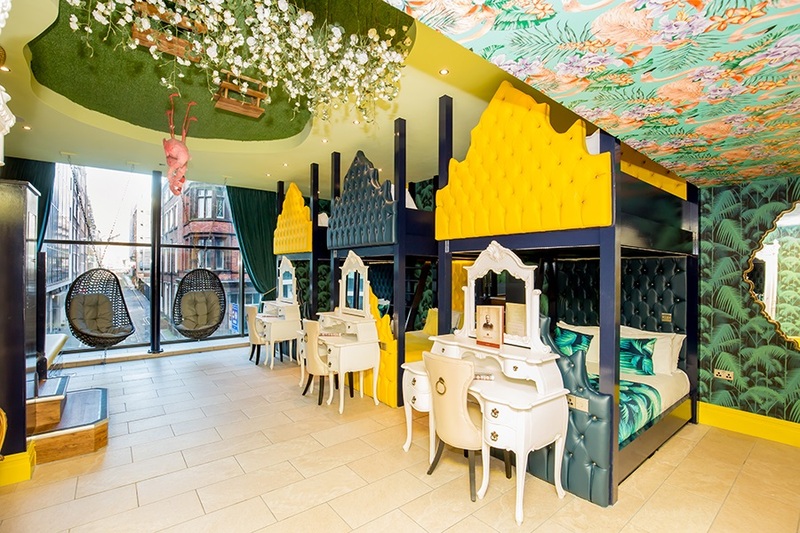 One of our most bold and bright party apartments in Liverpool, this is one for the top of your list. 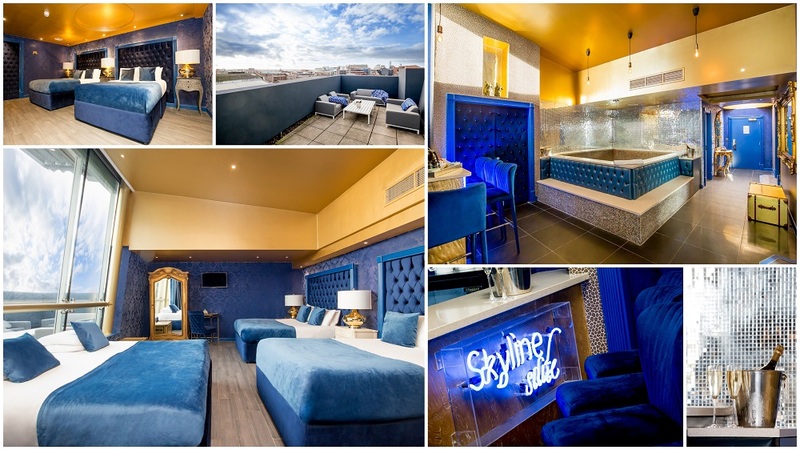 The Flamingo Suite is the ultimate party apartment in Liverpool. Located in the heart of the city centre, you’ll find top nightlife venues right on your doorstep. 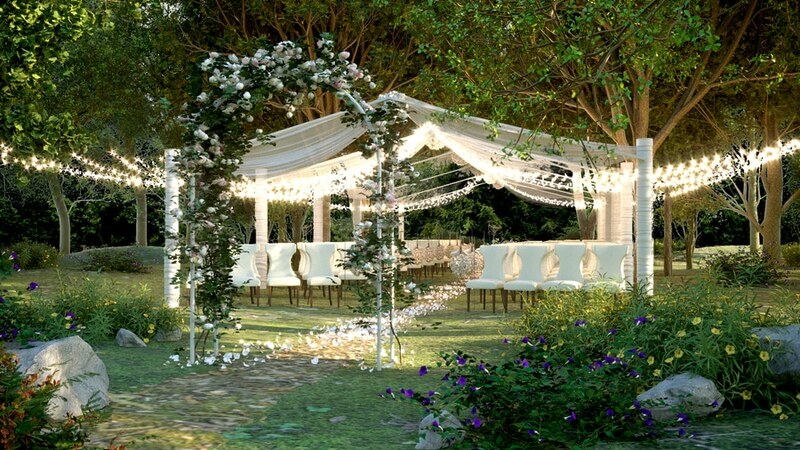 Perfect for celebrating special occasions, this dazzling suite offers a truly special experience from start to finish. Located inside The Shankly Hotel, you’ll find The Bastion Bar & Restaurant just down the stairs. Serving up an array of delicious dishes and tasty cocktails, you’ll have everything you could wish for right within the building. And if you do choose to head out for the night, Liverpool’s buzzing nightlife along Victoria Street is just around the corner. 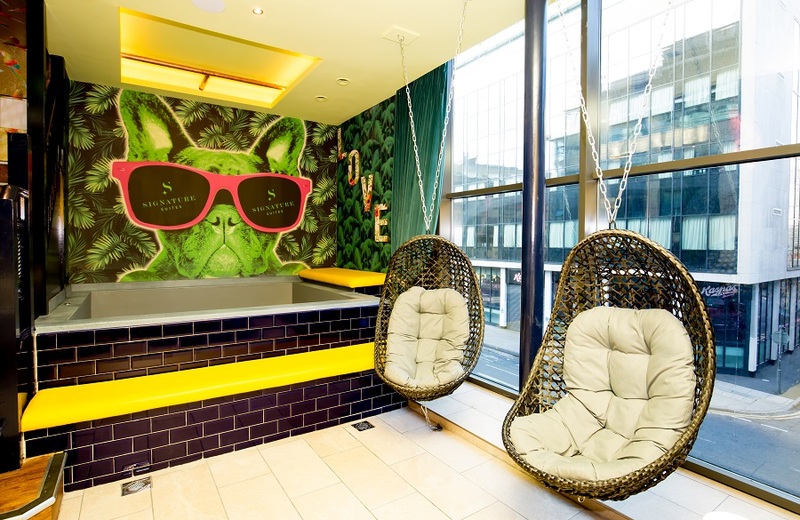 From the city’s top nightclubs to favourite bars, you’ll find leading venues from Mansion and Baa Bar to Turtle Bay. And only moments away, Liverpool’s famous Mathew Street nightlife hub is awaiting. Featuring the world famous Cavern Club, top Irish bars and retro club nights, there’s plenty to choose from. If you fancy exploring the best of Liverpool, iconic landmarks are within walking distance. From the Three Graces, Pier Head village and captivating museums and galleries, we’re only moments from it all. 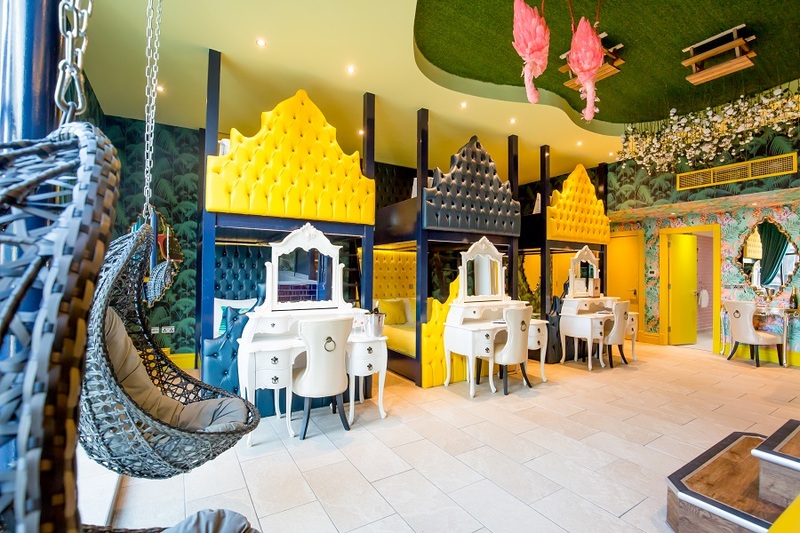 We’re renowned for creating unique party apartments and luxury accommodation in Liverpool and beyond. 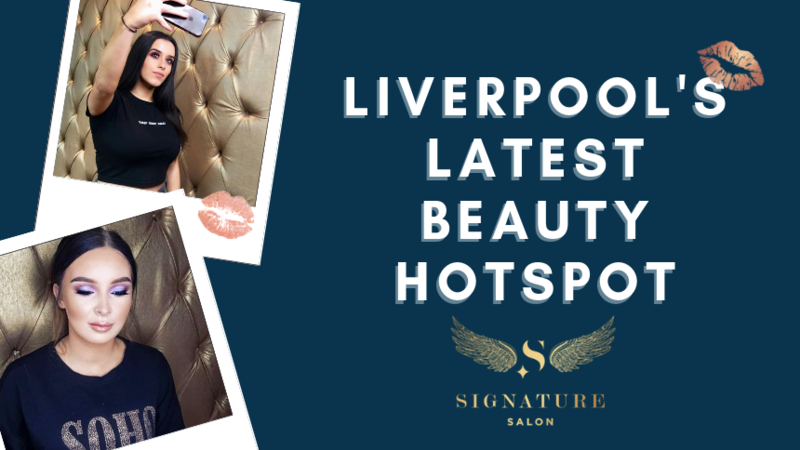 Our venues include The Shankly Hotel, 30 James Street Hotel and our Signature Living apartments. We’re also the proud developers behind The Exchange Hotel in Cardiff. We transformed the iconic Coal Exchange into a leading heritage hotel. Over the next year, we’ll also be building a presence in Belfast with new hotels including The George Best Hotel. Our creative approach to group accommodation is what we’re known for – you can never be sure what’s around the corner! The Flamingo Suite is a dynamic representation of what Signature Living is all about. Fun, quirky and spacious, we welcome small to larger groups of locals and tourists throughout the year. 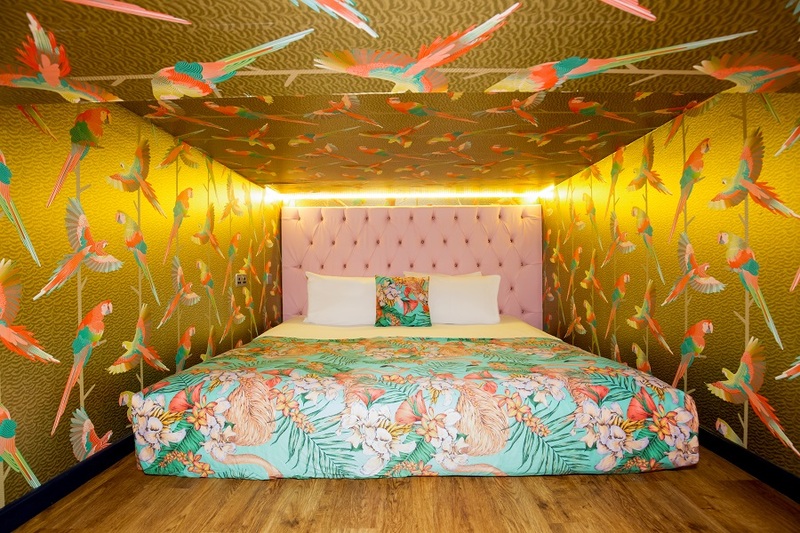 So if you’re yet to stay with us, don’t miss out on being one of the first to stay in the Flamingo suite. To enquire further or to book your stay in the Flamingo suite, you can contact our team on 0151 601 8801.